A bright and healthy smile conveys warmth, charm, and confidence. Dr. Lalonde wants our patients to experience the joy of a gorgeous smile, so we produce results that are consistently beautiful and completely natural looking. From cosmetic bonding to teeth whitening to porcelain veneers, our Los Fresnos practice offers cosmetic dentistry options tailored to give you a brilliant, attractive smile. Over time, stains and discolorations can dull your smile. Professional teeth whitening can lighten teeth and take years off of your appearance. In-office, power teeth whitening will safely and easily brighten your smile in just one visit. We also offer custom take-home trays for patients who prefer to whiten at their convenience, and you can use these trays to touch up your smile as needed. To cover chips, cracks, or gaps in your smile, porcelain veneers offer a popular, stain resistant enhancement. A ceramist will handcraft your custom-designed veneers in a dental lab. After we receive your new veneers, Dr. Lalonde will bond them in place on your front teeth. You won’t believe the dramatic difference porcelain veneers can make to your smile. Achieve the smile of your dreams with porcelain veneers, cosmetic bonding, Invisalign, or teeth whitening. We can design a smile enhancement plan to fit both your unique style and your budget. 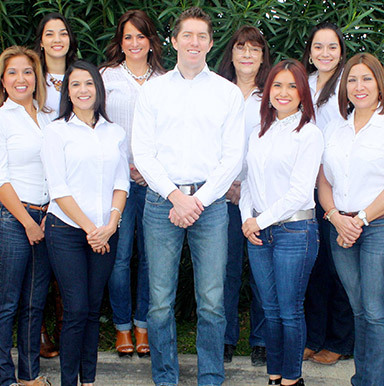 Call our Los Fresnos dental office to schedule a cosmetic consultation with Dr. Lalonde. We serve residents of Brownsville, South Padre Island, Port Isabel, San Benito and Bayview with comprehensive cosmetic, restorative, and preventive dental care.